1. Because, it’s fun. So, why not? Spitting for your test can bring couples closer as they share this information…and who knows what this will lead to later?! 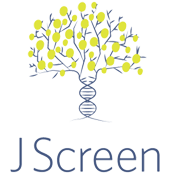 The JScreen “spit kit” is easily ordered online, used at home, and then mailed in for DNA testing. If a person or couple’s risk is elevated, a certified genetic counselor will privately address their results by phone, providing options and resources as needed. Cutting-edge technology enables geneticists to look closely at people’s genetic makeup to identify their risk for more than 200 different diseases.